Mark E. Nichols is the managing partner of Nichols Walter PLLC in Lexington, Kentucky and holds an AV® Preeminent™ Peer Review Rating from Martindale-Hubbell®. His practice areas include medical malpractice, personal injury, licensure and regulatory cases in Kentucky and Tennessee. Mark has handled everything from simple slip and fall accident cases to complex catastrophic injury and wrongful death cases involving medical malpractice, including serving as lead counsel for one of the primary physicians in the high risk and complex “Cardiac Stent” cases in London, Kentucky. He served as lead counsel in the only two of such cases that were tried, both of which resulted in defense verdicts. Mark has a reputation as a tenacious and effective litigator and as an accomplished and polished trial attorney. He was recently recognized as the 2015 Kentucky Trial Lawyer of the Year by the Kentucky Trial Court Review. Mark earned his undergraduate degree from Asbury College in 1983 and his law degree from the University of Kentucky in 1988. He is licensed to practice in the state courts of Kentucky and Tennessee and in the U.S. District Court and the U.S. Court of Appeals, 6th Circuit. He has been recognized in U.S. News and World Report's Best Lawyers®, Best Lawyers in America®, Marquis Who's Who in American Law®, the National Registry of Who's Who® and Strathmore's Who's Who®. 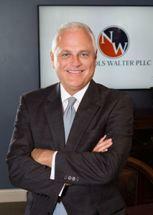 He has received client defense attorney awards and has written numerous continuing legal education publications. In addition, he frequently is invited to speak at seminars and symposiums, both on the state and national level.